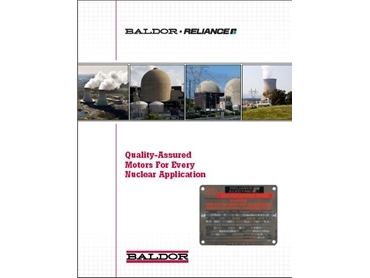 Baldor Australia Pty Ltd announces the availability of their new Nuclear Motor BR481 brochure. Baldor offers the widest selection of nuclear motors available from a single source. All of their Class 1E nuclear motors are completely designed, manufactured and tested under a nuclear quality assurance program in compliance with NRC 10CFR50 Appendix B.